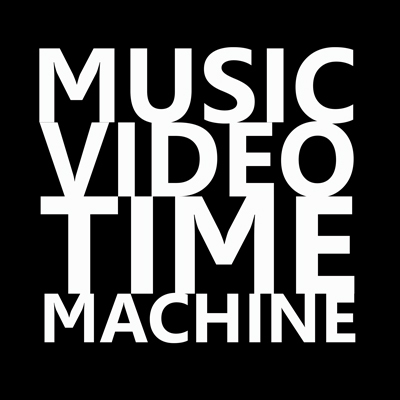 MUSIC VIDEO TIME MACHINE, n.: an ongoing series of live video-centric event experiences, centered on playing classic music videos of a significant year, genre, theme, artist or category, accented by high-spirited creative shenanigans you won’t soon forget. As New York finally emerges from the long cold winter (as Cinderella would say), THE GOLDEN AGE OF MUSIC VIDEO is hyped to celebrate springtime with a throwback music video celebration! It’s a mid-decade midtown maelstrom of “Money For Nothing” and MORE! Friday, May 15th, 8pm – ? Do you want your MTV – back the way it used to be? The MUSIC VIDEO TIME MACHINE event series has arrived to save you! Join us for this series’ debut pop-up party experience, totally dedicated to 1985! Travel back to this mega-decade midpoint for big hit videos (and a few lost treasures) from a-ha, Dire Straits, Wham, Madonna, Hall & Oates, Bruce Springsteen, Bryan Adams, Sting, David Lee Roth, Phil Collins, Duran Duran, Prince, Sheila E., The Time, Frankie Goes To Hollywood, Scritti Politti, Animotion, The Cure, The Smiths, Tears For Fears, Hooters, Run-DMC, LL Cool J, Eurythmics, Replacements, Thompson Twins, Chaka Khan, Sheena Easton, and even your requests! Enjoy a full pop culture experience, complete with drink specials, prize giveaways & pop backdrops to create your own phone photo phenomena! And a Pee Wee Herman “Tequila” Dance Contest with a grand prize of one bottle of Sammy Hagar’s Cabo Wabo tequila!! No need to call your cable company, WE’VE got your MTV, and just the way you like it — PLAYING AWESOME MUSIC VIDEOS!!! MUSIC VIDEO TIME MACHINE is an event series spotlighting music videos of a significant year, genre or category. Watch for our next big MVTM event!